Metro Self Storage in Chicago is conveniently located in the Chatham neighborhood near Chicago State University on E 87th Street. We have someone in our storage office every day of the week to help with your storage needs, and are committed to providing you with the best storage experience possible. 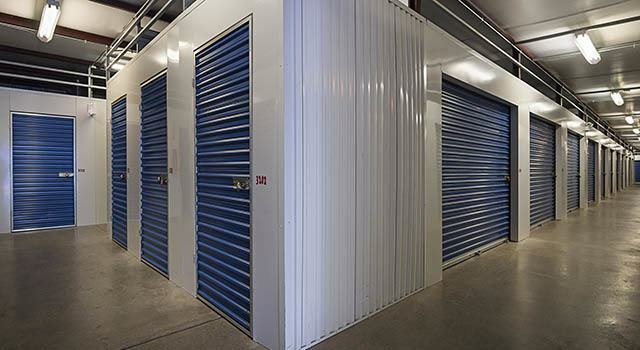 Everyone likes to have a choice and we are pleased to offer you a wide variety of storage units, which include indoor climate-controlled units featuring a covered loading and unloading bay, ample lighting, and wide hallways. Whether you are in between apartments, remodeling a Victorian-style flat, or combining households, Metro Self Storage can help you find the space you need to make life more manageable. What types of items are stored in a climate-controlled storage unit? Business Storage: Temperature-sensitive inventory and indispensable records such as tax documents and medical files as well as computers and other types of electronics. Household Storage: Leather and suede furnishings, draperies, wood furniture, and framed photographs and artwork. Personal Storage: Books, CD’s, baseball card and stamp collections, musical instruments, video games, vinyl records, and classic cars. If you are unsure whether or not you should rent a climate-controlled unit at Metro Self Storage in Chicago, please call us, and a member of our professionally trained storage team will be happy to help you.